Someone is here to assist you 7 am to 5 pm cst Monday thru Thursday and 7 am to 4 pm cst on Friday. 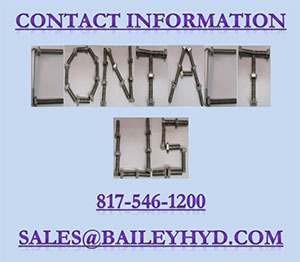 Email us at sales@baileyhyd.com or call us. We can also be reached using our contact form by clicking here.